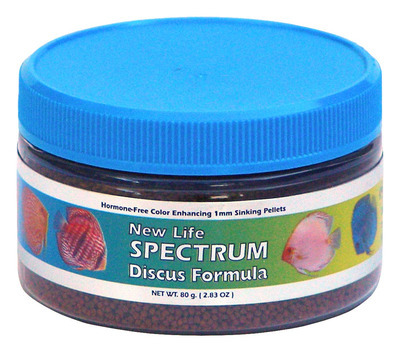 New life Spectrum Discus Formula. Hormone-Free Color Enhancing 1mm Sinking Pellets. High quality,easily digestible Krill and Herring protein. Balanced daily diet for your Discus. Helps boost immune system to repel parasites.